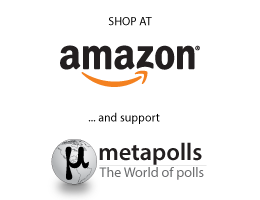 Note: The logo under each name indicates membership in a European political party. 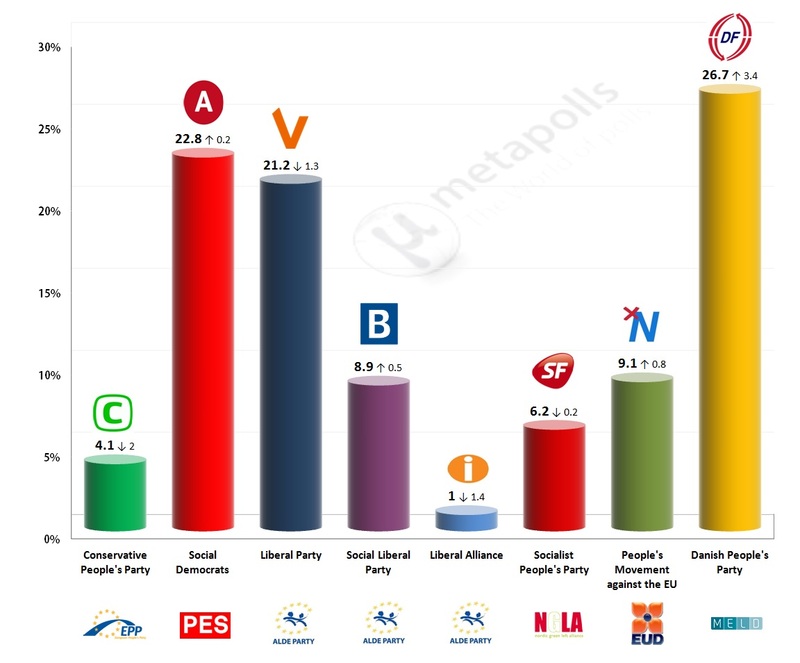 In comparison with Epinion poll of 2 May 2014.The party of Danish People is up to the first place with 26% while the Liberal Party is second in the preferences of the voters.Lastly the Undecided percent appears to be 43%. Note: The logo under each name indicates membership in a European political party. Note: Results presented here take into account only respondents who selected a specific party. The logo under each name indicates membership in a European political party. 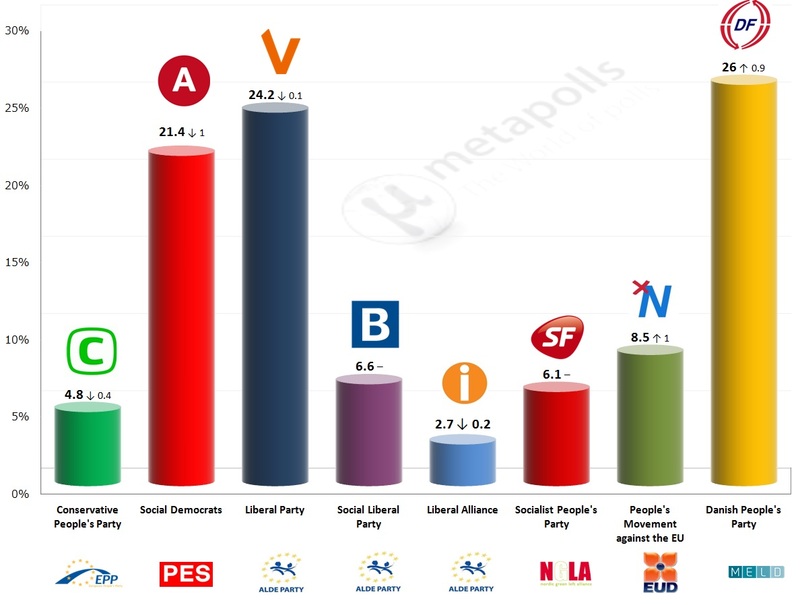 Note: Comparison with A&B Analyse poll of 6 March. Results presented here take into account only respondents who selected a specific party. 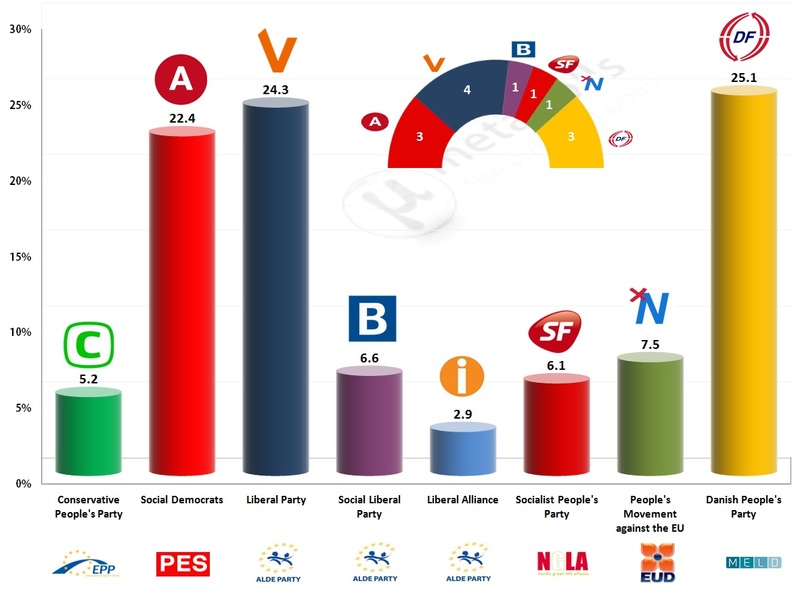 The logo under each name indicates membership in a European political party.